Despite market saturation, the MVNO model continues to prove attractive to new entrants and established players alike. There are more than 650 MVNOs around the world and the MVNO model has proven to be enormously attractive across the board as a vehicle to the launch of new offers that address a variety of needs and segments for the provision of mobile services. MVNOs face margin squeeze as well as numerous competitive pressures. They need to seek ways in which they can both offer additional value to consumers – and hence attract and retain more subscribers – and improve operational efficiency to grow margin and profit. 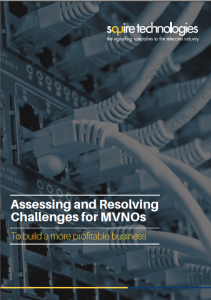 Read our latest White Paper to learn how to assess and resolve MVNO challenges and to build a more profitable business. Download our White Paper now! For a limited time, when you buy a Squire Technologies’ SVI_SG solution, you can benefit from a free copy of the redundant licence module. The redundancy module enables full dual-plane operation and delivers high-performance, optimised signalling control and five 9s uptime. Do you want a clear route to cost-effective future-proof performance? Secure complete investment protection, outstanding performance and reliability with Squire Technologies’ SVI_SG solutions.